The pharma business in India ranks third in the world in terms of volume and fourteenth in terms of value. According to IBEF Revenue of Indian Pharmaceutical Sector in FY17 was US$ 29.61 billion and is expected to reach US$ 55 billion by FY2020. Industry Standards and Manufacturing. We wanted to show you a genuine comparison between the top pcd pharma companies so that you can make the right decision while choosing a pcd pharma franchise. Here is the list of top 10 pcd pharma companies in India which provide good pcd pharma franchise. Legal Status of Firm: Private Limited Company. 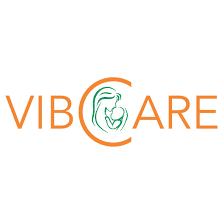 Vibcare Pharma is the Industry Leader when it pcd pharma companies as they have over 1000 Active pcd pharma franchise all over India. 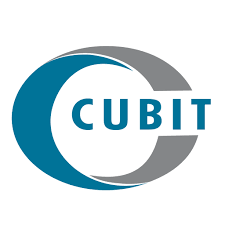 They are a technology driven company which strives to set new benchmarks in the industry. They believe in providing best in class service and promotional material to boost your productivity and business. All of their products are manufactured in WHO-GMP Certified plants which means that they are of the highest standards. They offer one of the best promotional inputs in the industry. Read more about Vibcare Pharma. Legal Status of Firm: Public Limited Company. 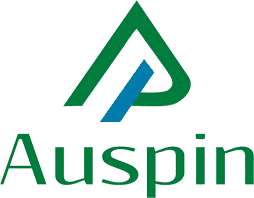 They are one of the oldest companies in this, and they have been providing pharma franchise in India since 1994. Apart from being a pcd pharma company, they are also engaged in manufacturing, exporting and supplying a diverse array of Pharmaceutical Medicines. They are also into the export of medicines with almost 20% of their turnover coming from international markets. This company is a sister concern of Vibcare Pharma and is run on the same ideology. This company was started to cop-up with the increasing demand in bigger markets like Maharashtra, Andhra, and Telangana. They offer products of the same quality as Vibcare pharma and this being a new company in the market customers have a better opportunity in achieving a higher rate of growth. Location – New Delhi, NCR. Although Mankind Pharma came into existence in 1986, it wasn’t until 1995 that they actively started working as a fully integrated pharmaceutical company. In the Year 2015, they started providing pharma franchise in India and are now among the best pcd pharma companies. This pcd pharma companies list would have been incomplete without Mankind Pharma. 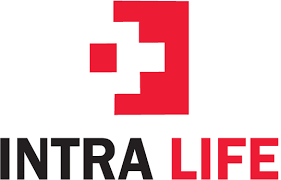 They Started in 1981 as Intra Labs and 2011 They Separated from the main company to form Intra Life. IntraLife has a very comprehensive product range of over 1500 Products and has a Pan India presence. With divisions like Doxis Laboratories, Cutis Derma Care, Inhalers, Intra Care, Intra Ayurveda and Life Caps they cover almost all the therapeutic segments. They believe the “practice of Medicine is an art, not a trade in which our heart will be exercised equally with our head”. In 2016 They launched SAMARPAN FOUNDATION’ as a part of their Corporate Social Responsibility, with a mission to uplift the poor and disabled children and to tackle the issues that impact society. 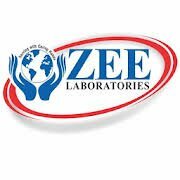 Zota Healthcare Provides Ayurvedic Syrup, Pharmaceutical Tablet, Pharmaceutical Capsule, Pharmaceutical Granules, Ayurvedic Capsule, etc. Based out of Gujrat Zota has Grown at an impressive rate thanks to their philosophy of Innovate and Excel. They have a remarkable R&D Program because of which they have received eight patents in India. Zota Healthcare is one of the leading pcd pharma companies in India and has been providing excellent quality pharma franchise in India since the year 2000. In April 2017 they successfully launched their IPO and are currently listed in NSE SME. Legal Status of Firm: Partnership Firm. Talent Healthcare is Ahmedabad- Gujrat Based Pharma Formulation Mfg. The company has two formulation units at Ahmedabad & Sidcul-Haridwar, Uttarakhand. They are a sister concern of Talent Laboratories which was started in 1993 in Gujrat. They Manufacture Tablets, Capsules, Dry Powder syrups and injection dry powder vial. They have quickly gained the reputation as an export-oriented company, but they also focus on providing pcd pharma franchise in India. Started in 2011 by Mr. Jeetendra Belani they have significant Business interests in countries like UAE , UK, Singapore Etc. Apart from Providing a good range of NSAIDs, PPIs, Nutraceuticals they also provide niche product ranges including Anti Asthmatic, ED Products, Eye care, Epilepsy Medication, HIV Medication, Infertility drugs etc. Legal Status of Firm: Partnership. 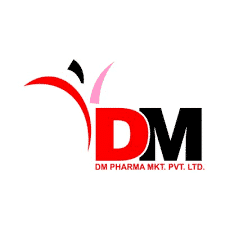 DM Pharma started as a manufacturer and are now regarded as one of the best pcd pharma companies and manufacturers in India. They deal in therapeutic segments such was antipyretic, anti-inflammatory, antibiotics, cardiovascular, antilipidemic, Antibes, muscle relaxant, immunosuppressant, antimalarial and anti-infective, etc. With their acquisition of companies like Saar Biotech and Rainbow human care, they have expanded their manufacturing capacities many folds. They have over ten pcd pharma franchise Divisions and deserve to be on the list. They Focus primarily on providing pharma pcd franchise in India and have a good reputation among other pcd pharma companies. They have several pcd pharma franchise divisions which focus on therapeutic segments like Psychiatric, diabetic, optho care, derma, oral and gynae products. They offer an array of different promotional material and also focus on providing good quality service. We hope you liked our top 10 pcd pharma companies in India 2018 List. If you want to give some feedback or want to get featured on our top 10 pcd pharma companies in India List next year you can get in touch with us using our contact form.